camera. 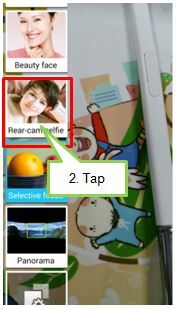 Tap the MODE icon to change to the Rear-cam Selfie mode. 2. 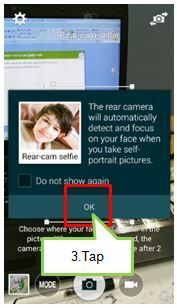 Select Rear-cam Selfie mode. 3. 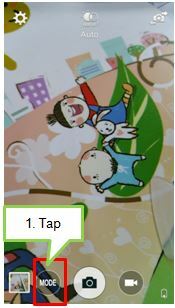 Tap the OK of popup and Choose where your face will appear in the picture. 4. 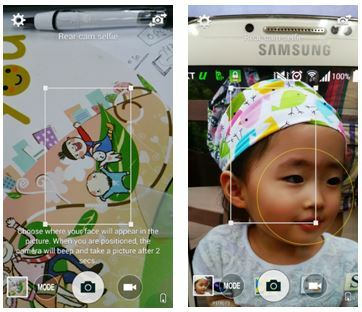 The rear camera will automatically detect and focus on your face. When you are positioned, the camera will beep and take a picture after 2secs.